Augustus III (Polish: August III Sas, Lithuanian: Augustas III; 17 October 1696 – 5 October 1763) was King of Poland and Grand Duke of Lithuania from 1734 until 1763, as well as Elector of Saxony in the Holy Roman Empire from 1733 until 1763 where he was known as Frederick Augustus II (German: Friedrich August II). The only legitimate son of Augustus II of Poland, he followed his father's example by joining the Roman Catholic Church in 1712. In 1719 he married Maria Josepha, daughter of Joseph I, Holy Roman Emperor, and became Elector of Saxony on his father's death in 1733. As a candidate for the Polish crown, he secured the support of Emperor Charles VI by assenting to the Pragmatic Sanction of 1713, designed to preserve the integrity of the Habsburg inheritance, and that of Russian Empress Anna by supporting Russia's claim to Courland. Chosen king by a small minority of electors on 5 October 1733, he drove his rival, the former Polish king Stanisław I, into exile. He was crowned in Kraków on 17 January 1734, and was generally recognised as king in Warsaw in June 1736. Augustus gave Saxon support to Austria against Prussia in the War of the Austrian Succession (1742) and again in the Seven Years' War (1756), both of which resulted in Saxony being conquered and occupied by Prussia. His last years were marked by the increasing influence of the Czartoryski and Poniatowski families, and by the intervention of Catherine the Great in Polish affairs. His rule deepened the anarchy in Poland and increased the country's dependence on its neighbours. The Russian Empire, which had assisted him in his bid to succeed his father, prevented him from installing his family on the Polish throne, supporting instead the aristocrat Stanisław August Poniatowski. During his reign, Augustus spent little time in Poland and was more interested in ease and pleasure than in affairs of state; this notable patron of the arts left the administration of Saxony and Poland to his chief adviser, Heinrich von Brühl, who in turn left Polish administration chiefly to the powerful Czartoryski family. The reign of Augustus witnessed one of the greatest periods of disorder in Polish history. 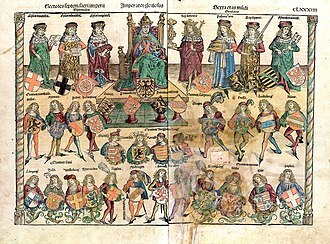 Royal titles in Latin: Augustus tertius, Dei gratia rex Poloniae, magnus dux Lithuaniæ, Russiæ, Prussiæ, Masoviæ, Samogitiæ, Kijoviæ, Volhiniæ, Podoliæ, Podlachiæ, Livoniæ, Smolensciæ, Severiæ, Czerniechoviæque, nec non-hæreditarius dux Saxoniæ et princeps elector. 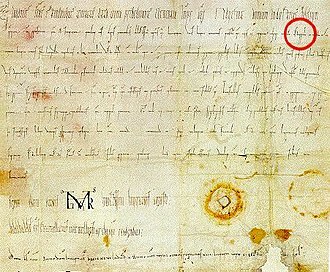 English translation: August III, by the grace of God, King of Poland, Grand Duke of Lithuania, Ruthenia (i.e. Galicia), Prussia, Masovia, Samogitia, Kiev, Volhynia, Podolia, Podlaskie, Livonia, Smolensk, Severia, Chernihiv, and also hereditary Duke of Saxony and Prince-Elector. Augustus was the only legitimate son of Augustus II the Strong, Prince-Elector of Saxony and king of the Polish-Lithuanian Commonwealth who belonged to the Albertine line of the House of Wettin. His mother was Christiane Eberhardine of Brandenburg-Bayreuth. Groomed to succeed his father as king of Poland, Augustus converted to Catholicism in 1712; when publicly announced, this caused discontent among the Protestant Saxon aristocracy. Faced with a hereditary Catholic succession for Saxony, Prussia and Hanover attempted to oust Saxony from the directorship of the Protestant body in the Reichstag, but Saxony managed to retain the directorship. Royal Monogram Of King Augustus III of Poland. Upon the death of Augustus II in 1733, Augustus inherited the Saxon electorate and was elected to the Polish throne, with the support of the Russian Empire and the Holy Roman Empire. He was opposed by the forces of Stanisław I Leszczyński, who had usurped the throne with Swedish support during the Great Northern War. Reigning from 1706 until 1709, Stanisław was overthrown after the Swedish defeat at Poltava. Returning from exile in 1733 with the support of Louis XV of France, Stanisław sparked the War of the Polish Succession, which concluded in 1738 with a victory for Augustus's Russian and Imperial allies. As King, Augustus was uninterested in the affairs of his Polish–Lithuanian dominion, focusing instead on hunting, the opera, and the collection of artwork (see Gemäldegalerie Alte Meister). He spent less than three years of his thirty-year reign in Poland, where political feuding between the House of Czartoryski and the Potocki paralysed the Sejm (Liberum Veto), fostering internal political anarchy and weakening the Commonwealth. Augustus delegated most of his powers and responsibilities in the Commonwealth to Heinrich von Brühl, who served in effect as the viceroy of Poland. Augustus's eldest surviving son, Frederick Christian of Saxony, succeeded his father as Elector. 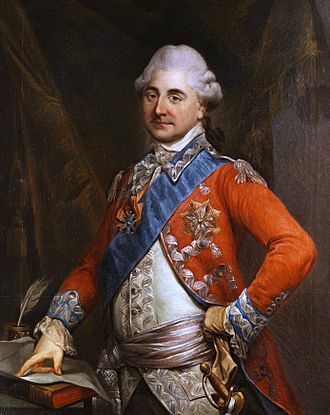 A Russian-supported coup d'état in Poland, instigated by the Czartoryskis, resulted in the election of Stanisław August Poniatowski as king of Poland and Grand Duke of Lithuania on 7 September 1764. Reigning under the name Stanisław II, Poniatowski was the son of the elder Stanisław Poniatowski, a powerful Polish noble and a onetime agent of Stanisław I; he was a lover of Catherine II of Russia and as such enjoyed strong support from that Empress's court. August was portrayed by Ernst Dernburg in the 1941 film Friedemann Bach. Maria Margaretha Franziska Xaveria (born Dresden, 13 September 1727 – died Dresden, 1 February 1734), died in childhood. 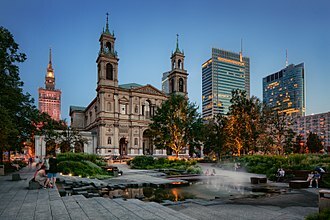 In 1733, the composer Johann Sebastian Bach dedicated the Mass for the Dresden court (Kyrie and Gloria of what would later become his Mass in B Minor) to Augustus in honor of his succession to the Saxon electorate, with the hope of appointment as Court Composer, a title Bach received three years later. Bach's title of 'Koeniglicher Pohlnischer Hoff Compositeur' ('Royal Polish Court Composer,' and court composer to the Kurfuerst of Saxony) is engraved on the title page of Bach's famous Goldberg Variations. ^ a b c Flathe, Heinrich Theodor (1878), "Friedrich August II., Kurfürst von Sachsen", Allgemeine Deutsche Biographie (ADB) (in German), Leipzig: Duncker & Humblot, 7: 784–86 . ^ a b Staszewski, Jacek (1996), August III. Kurfürst von Sachsen und König von Polen (in German), Berlin: Akademie-Verlag, ISBN 3-05-002600-6 . ^ Kalipke, Andreas (2010). "The Corpus Evangelicorum". In Coy, J.P.; Marschke, B. Benjamin; Sabean D.W. The Holy Roman Empire, Reconsidered. Berghahn. pp. 228–247. 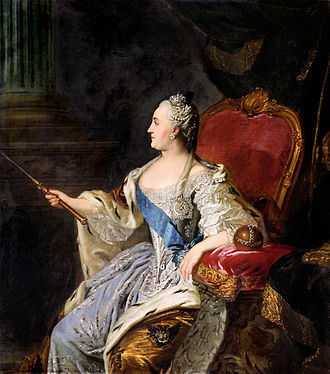 ^ "Christine", Saxony Albert, NL: Royalty guide, 1735, archived from the original (JPEG) on 28 February 2008 . ^ "Elisabeth", Saxony Albert, NL: Royalty guide, 1736, archived from the original (JPEG) on 28 February 2008 . ^ "Missa in B Minor ("Kyrie" and "Gloria" of the B Minor Mass)". World Digital Library. 1733. Retrieved 2013-08-08. Wikimedia Commons has media related to Augustus III of Poland. Bach, Johann Sebastian, "Mass in B Minor", Cue points, Oregon Bach festival, archived from the original (Adobe Flash) on 23 July 2011, retrieved 21 August 2011 . Augustus II the Strong of the Albertine line of the House of Wettin was Elector of Saxony, Imperial Vicar and became King of Poland and Grand Duke of Lithuania. Augustus great physical strength earned him the nicknames the Strong, the Saxon Hercules, in order to be elected King of the Polish-Lithuanian Commonwealth, Augustus converted to Roman Catholicism. As a Catholic, he received the Order of the Golden Fleece from the Holy Roman Emperor, as Elector of Saxony, he is perhaps best remembered as a patron of the arts and architecture. He established the Saxon capital of Dresden as a cultural centre. Augustus amassed an art collection and built lavish baroque palaces in Dresden. His reigns brought Poland some troubled times and he led the Polish-Lithuanian Commonwealth in the Great Northern War, which led to the Russian Empire strengthening its influence in Europe, especially within Poland. His main pursuit was bolstering royal power in the Commonwealth, characterized by broad decentralization in comparison with other European monarchies and he tried to accomplish this goal using foreign powers and thus destabilized the state. Augustus was born in Dresden on 12 May 1670, the son of the Elector Johann Georg III. As the second son, Augustus had no expectation of inheriting the electorate, since his brother, Johann Georg IV. 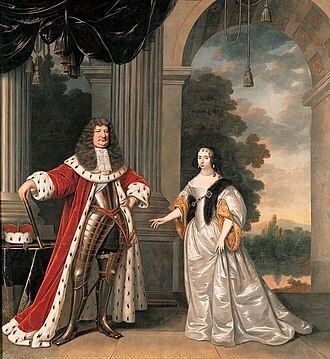 Augustus married Kristiane Eberhardine of Brandenburg-Bayreuth in Bayreuth on 20 January 1693 and they had a son, Frederick Augustus II, who succeeded his father as Elector of Saxony and King of Poland as Augustus III. While cavorting during the season in Venice, his older brother. On 27 April 1694, Johann Georg died without issue and Augustus became Elector of Saxony. To be eligible for election to the throne of the Polish–Lithuanian Commonwealth in 1697, the Saxon dukes had traditionally been called champions of the Reformation. Saxony had been a stronghold of German Protestantism and Augustus conversion was considered shocking in Protestant Europe. 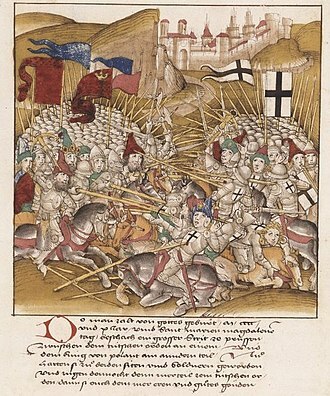 Although the prince-elector guaranteed Saxonys religious status quo, Augustus conversion alienated many of his Protestant subjects, as a result of the enormous expenditure of money used to bribe the Polish nobility and clergy, Augustus contemporaries derisively referred to the Saxon dukes royal ambitions as his Polish adventure. 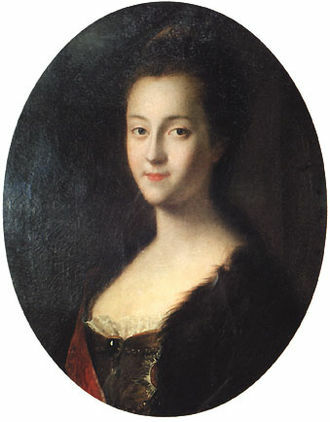 Anna Ioannovna, spelled Anna Ivanovna and sometimes anglicized as Anne, was regent of the duchy of Courland from 1711 until 1730 and ruled as Empress of Russia from 1730 to 1740. Anna was born in Moscow as the daughter of Tsar Ivan V by his wife Praskovia Saltykova, although Annas father was himself Tsar of Russia and co-ruler with his half-brother Peter I, he was mentally disabled and incapable of administering the country. Therefore, his younger half-brother and co-ruler was effectively the autocrat of all the Russias, Ivan V died in February 1696, when Anna was only three years old, and her uncle became the sole ruler of Russia. 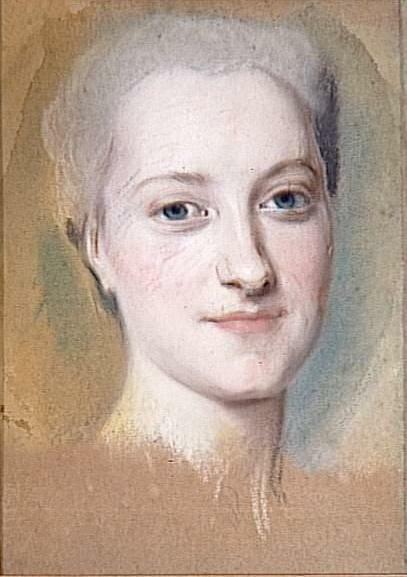 Although Anna was the child of her parents, she had only one surviving elder sister, Catherine. The three girls were raised in a disciplined and austere manner by their mother, a very stern lady of sterling character. Anna grew up within a milieu which cherished womanly virtue and domesticity above all else and her education consisted of French, religious texts and folklore, leavened with some music and dancing. As she grew older, she developed into a girl, with a mean streak. 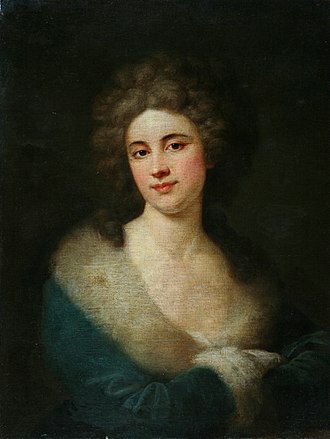 Anna was famed for her big cheek, which, as shown in her portraits, in time, her uncle Peter the Great ordered the family to move from Moscow to St. Petersburg. This meant a change of not just location but society, and she greatly enjoyed the splendor of court and the lavishness of high society, which was very different from the austerity preferred by her mother. In 1710, Peter the Great arranged for the 17-year-old Anna to marry Frederick William, Duke of Courland and her wedding was held on a grand scale, as per her own inclinations, and her uncle gave her a fabulous dowry of 200,000 roubles. At the feast which followed the wedding, two performed a parody by jumping out of enormous pies and dancing on the tables. The newly wedded couple spent several weeks in Russia before proceeding to Courland, only twenty miles out of St. Petersburg, on the road to Courland, Duke Frederick died. The cause of death was uncertain - it has been attributed variously to a chill or to the effects of alcohol, after her husband died, Anna proceeded to Jelgava, the capital of Courland and ruled that province for almost twenty years, from 1711 to 1730. Always the most important Catholic church of the city, it was elevated to the status of cathedral of the Roman Catholic Diocese of Dresden-Meissen in 1964. 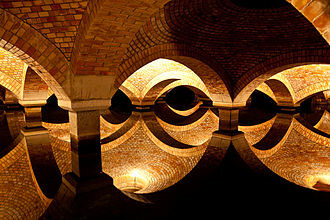 It is located near the Elbe River in the center of Dresden. The Hofkirche stands as one of Dresdens foremost landmarks and it was designed by architect Gaetano Chiaveri from 1738 to 1751. The church was commissioned by Augustus III, Elector of Saxony, whilst the general population was protestant its rulers were catholic. The catholic Elector built the cathedral for his own use and for the use of other high-ranking officials, the church was badly damaged in February 1945 during the bombing of Dresden in the Second World War. It was initially restored during the mid-1980s by the East German government and it was further restored in the early 21st century following reunification, including the rebuilding of the bridge to the castle. Today it is the cathedral of the Roman Catholic Diocese of Dresden-Meissen, free entry is permitted during the daytime. Prince Karl Christian Joseph of Saxony was a German prince from the House of Wettin and Duke of Courland. Born in Dresden, he was the fifth but third surviving son of Augustus III, King of Poland and Elector of Saxony, and Maria Josepha of Austria. 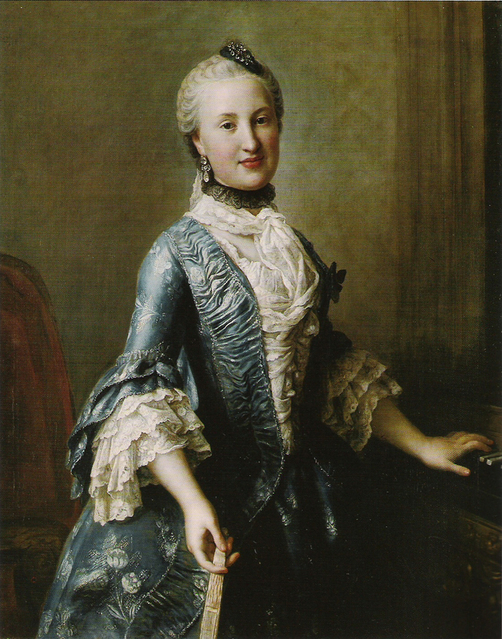 Afterwards, a plot surrounding the Grand Duchess Elisabeth Petrovna against the regent was a success, in 1741 Anna Leopoldovna, her son Ivan. To occupy the new headship of the Duchy, the local knighthood —under pressure from Saxony, the young prince had previously travelled to St. Petersburg from which came the agreement of Tsarina Elisabeth, confirming these plans from their part. 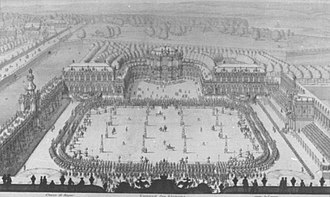 Before these negotiations could come to their conclusion, his father appointed him as Duke on 10 November 1758 and formally invested him on 8 January 1759 with the Duchy of Courland and Semigallia. After the Courland Diet and the States had met, they lost their hope of wringing a statement from Karl, appropriately many aristocrats refused to homage the duke’s appointment on 3 November 1759 and instead waged protest in Warsaw and St.
Petersburg. The Duke was fond of life and lived in a remarkably splendid household on the Schloss Mitau and he amused the aristocracy with parties and courtly hunts with which he was able to increase his supporters. Also he took over the guidance of the Freemasons medal blossoming, at time in Poland. He left domestic politics, however, in the hands of his Country Controller Otto Christoph von der Howen. She allowed the now entirely rehabilitated Biron to return from his exile, finally, a sickly Augustus III —not only for his declined health but by the consequences of the Seven Years War— accepted the fate of his son and denied his support to him. Without any support, Karl had to renounce the Duchy in 1763 and his hopes to win back the Duchy of Courland scattered after the quick death of his father and the loss of the Polish Crown for the Saxon Electors. 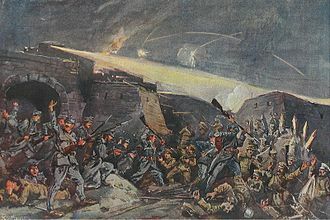 Thereupon Karl lived in Dresden, dedicated himself farther to the hunt in the Annaburger Heath, Karl died in Dresden at age sixty-two. 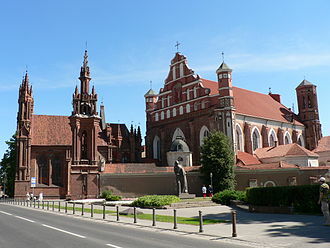 He was buried in the Marienstern Monastery of Mühlberg, in Warsaw on 21 March 1760 Karl secretly married Franciszka Corvin-Krasińska, daughter of Count Stanislaus Corvin-Krasiński. Clemens Wenceslaus was the ninth child of the Prince-Elector Augustus III of Saxony, who was the King of Poland. In 1760 he went to Vienna and entered the Austrian army as a field marshal and he was present at the Battle of Torgau, but he decided that warfare was not for him and instead entered the church. He took a view in spiritual affairs. He allowed the Jesuits to remain in Trier after abolishing their order, protested the reforms of his cousin, the Emperor Joseph II. Although a modest person who lived simply, he rebuilt Ehrenbreitstein into a magnificent palace and he established the theatre in Coblenz and encouraged music in the archdiocese. Clemens Wenceslaus enjoyed hunting and established a lodge at Kärlich. 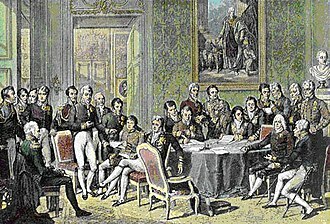 With the outbreak of the French Revolution at the end of the 18th Century and he ceased all reforms and began to rule strictly. He offered refuge to members of the French royal family, Clemens Wenceslaus received a pension of 100,000 guldens and retired to Augsburg, dying in the episcopal summer residence in Marktoberdorf in Allgäu in 1812. Czartoryski is a Polish princely family of Lithuanian-Ruthenian origin, known as the Familia. The family, which derived their kin from the Gediminids dynasty and they used the Czartoryski coat of arms and were a noble family of the Polish–Lithuanian Commonwealth in the 18th century. The Czartoryski family is of Grand Ducal Lithuanian descent from Ruthenia and their ancestor was the Grand Duke of Lithuania Algirdass son, known after his baptismal name Constantine, who became a Prince of Chortoryisk in Volhynia. One of his sons Vasyli Chortoryiski was granted an estate in Volhynia in 1393, the founding members were Ruthenian and Eastern Orthodox, and converted to Roman Catholicism during the 16th century. It was Michaels descendant Prince Kazimierz Czartoryski Duke of Klewan and Zukow, an intelligent, well educated man, he married Isabella Morsztyn daughter of the Grand Treasurer of Poland and built The Familia with their four children, Michał, August and Konstancja. 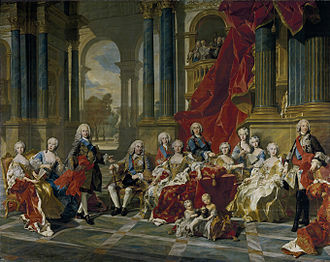 The family attained the height of its influence from the century in the court of Augustus III of Poland. The Czartoryski family is renowned for the Czartoryski Museum in Kraków. Today, the descendants of Prince Adam Jerzy Czartoryski are Prince Adam Karol Czartoryski. The descendants of Prince Konstanty Adam Czartoryski live to this day in Poland and have their representatives in the Confederation of the Polish Nobility, the Czartoryski family used the Czartoryski coat of arms and the motto Bądź co bądź. The familys arms were a modification of the Pogoń Litewska arms, notable members include, Wasyl Czartoryski, married Hanna Michał Czartoryski, married Maria Niemir Teodor Czartoryski, married Princes Zofia Sanguszko h. Pogoń Litewska Iwan Czartoryski, married Princess Anna Zasławska h, korybut Jerzy Czartoryski, married Princess Aleksandra Wiśniowiecka h. Hołowiński and Princess Zofia Lubomirska h, szreniawa Michał Jerzy Czartoryski, married Princess Izabella Korecka h. Pogoń Litewska Michał Jerzy Czartoryski, married Rosine Margarethe von Eckenberg and Joanna Weronika Olędzka h. Rawa Kazimierz Czartoryski, married Countess Izabela Elżbieta Morsztyn h, leliwa Michał Fryderyk Czartoryski, married Countess Elenora Monika Waldstein August Aleksander Czartoryski married Countess Maria Zofia Sieniawska h.
Katholische Hofkirche with Dresden Castle on the left and Semperoper on the right.